SANTA CLARA, Calif. — The explosion of over-the-top (OTT) and user-generated digital video content in the current multi-screen environment is creating strong demand for monetization technologies among both content owners and advertisers. The targetability, personalization capabilities, and interactivity offered by online video advertising solutions are expected to drive the $30 billion market toward $120 billion by 2023. 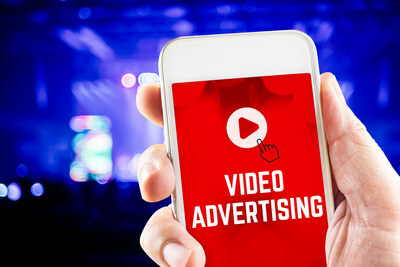 Frost & Sullivan’s recent analysis, Global Online Video Advertising Market, Forecast to 2023, presents the market trends, drivers and restraints, and regional analyses of the North America and Latin America (NALA); Europe, Middle East, and Africa (EMEA); and Asia-Pacific (APAC) markets. It also studies the competitive landscape and provides the market share analysis of leading market participants 2017. The rapidly expanding viewer pool of live/linear and video-on-demand (VOD) content such as sports and special events has spawned a large market for seamless ad delivery (dynamic ad insertion (DAI)) that is consistent across devices and platforms. Cloud-powered server-side ad insertion (SSAI) will emerge the dominant technology as it meets stringent monetization and user experience demands. Offering smooth, scalable, high-quality live video experiences optimized for every device. Delivering targeted ads to millions of concurrent viewers. Engaging in merger & acquisition activity with regional, niche vendors, especially for ad tech solutions. Embedding products and services with personalization and customization capabilities such as user video profiles, recommendations, and localization for device and region. Ensuring scalability of DAI solutions, particularly for live video events. Global Online Video Advertising Market, Forecast to 2023 is part of Frost & Sullivan’s global Digital Media Growth Partnership Service program.